Baseball has always been my favorite sport. I grew up loving the Mariners back in the good old days with Griffey, Buhner, Wilson, and Olerud. Dan Wilson will always be my favorite Mariner. As a fellow catcher I idolized him during my softball playing days. I even got the chance to meet him when he played at an Aquasox game one summer as part of a rehab assignment. When I moved to Chicago for grad school I became an instant Cubs fan. I was captivated by the history of Wrigley Field and my first apartment was only 10 minutes away from the ballpark. I went to several games during my three-year stint in Chicago, but I only wish my grad school budget had allowed me to go to more games. 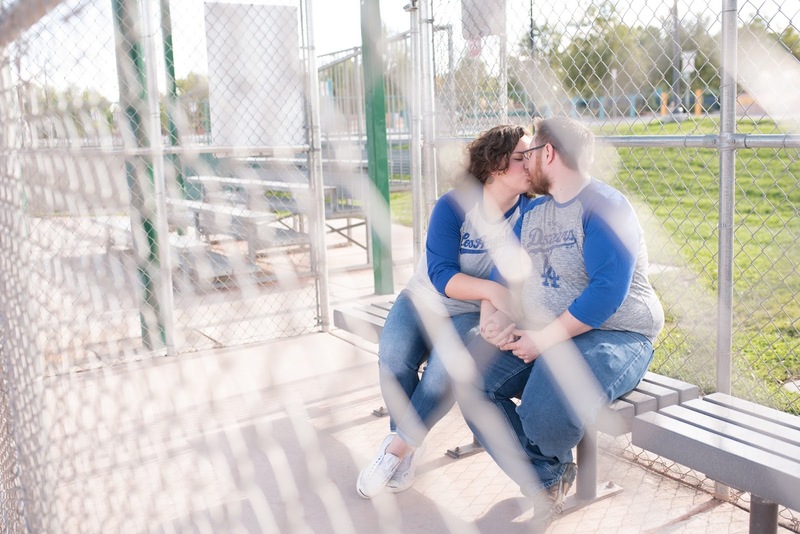 Lucky for me, Dale shares my love for baseball. He's been a lifelong Dodgers fan and it's safe to say I've jumped on the bandwagon. 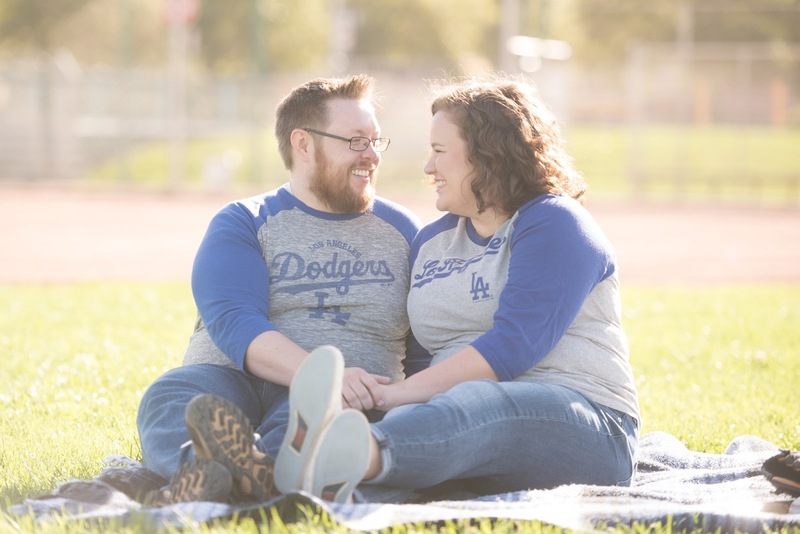 I'm officially a Dodgers fan---for life. I know what you're saying dad, I'm a fair weather fan and only like the Dodgers because of Dale. Well, Dale and I are going to be together forever so liking the Dodgers hasn't been hard. I still like the Mariners and Cubs, but when it comes down to it---I'm rooting for the Dodgers! Watching the Dodgers with Dale brings me the same joy as watching the Mariners as a preteen and teenager. I actually know who the players are and enjoy following their career successes. This summer I got to experience Dodger Stadium with Dale. Definitely, a relationship highlight. One of these day I'll blog about our trip. 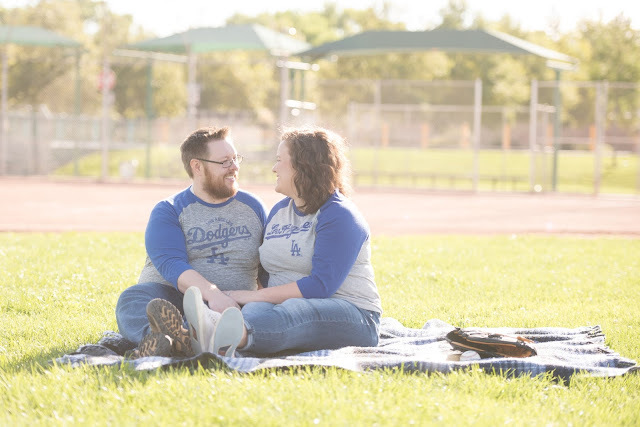 Last month when Dale and I took our engagement photos we decided to don our Dodger gear and head to a local ballpark. 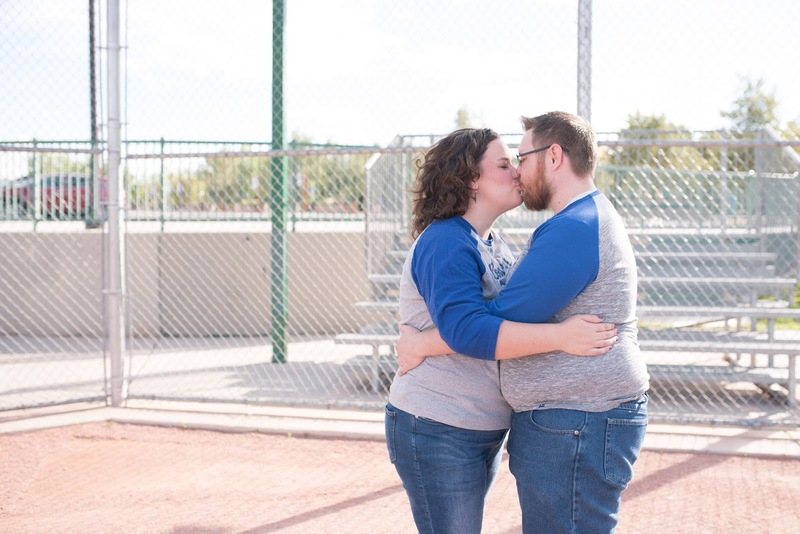 We both agree that the fact that the other person likes baseball is a really nice bonus in our relationship. It's something we love to enjoy together. 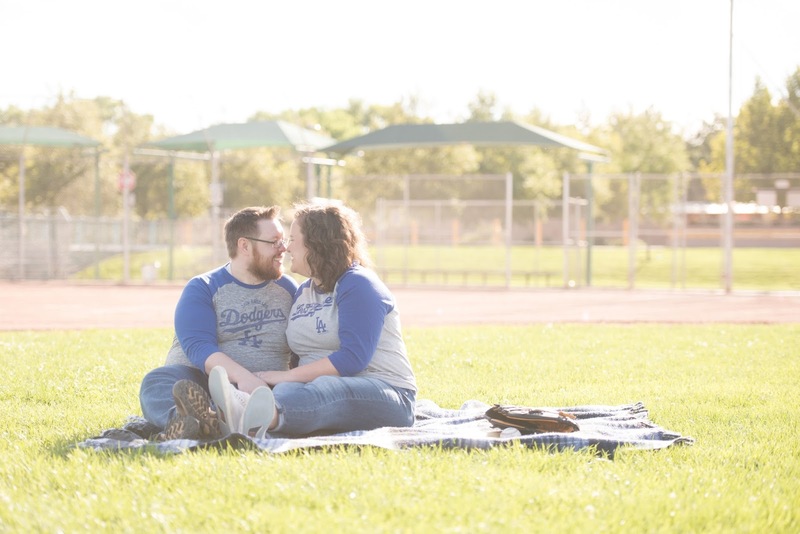 Now, there's photographic proof of my new allegiance to Dodger baseball. P.S. 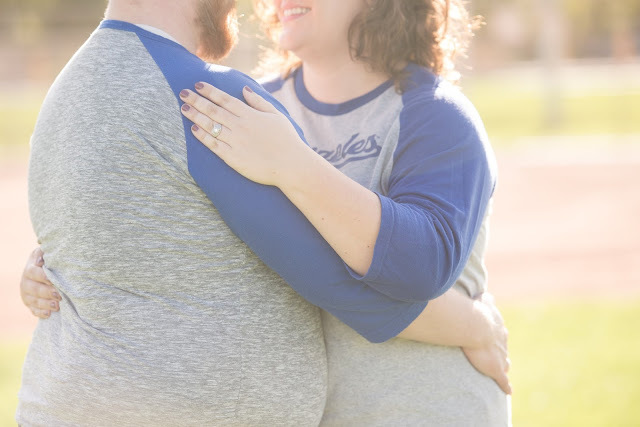 Thank you to Kayla Kitts Photography for taking our engagement photos. Especially when I almost busted her camera hitting the ball around with Dale but luckily crisis averted. You're awesome Kayla!